Why Do Some Businesses Get One Boxes In Google & Not Others? Home > Google News > Google SEO > When Will Your Local Business Show Up In Google's One Box? 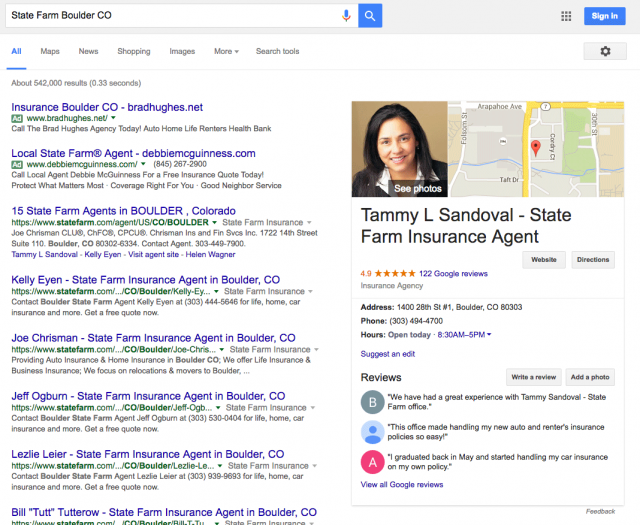 When Will Your Local Business Show Up In Google's One Box? Joy Hawkins asked another excellent local SEO question in the Local Search Forums the other day. She asked why do some business listings get a local one box result, while others return the three-pack? She asked, does having a ton of good reviews give you the one box? The example above, that company has tons of awesome reviews. But most of the local SEOs there say no, reviews are not what give you that one box. Some believe the one box is based on other SEO factors such as your links and PageRank. While other SEOs say it has to do with how specific the query is. 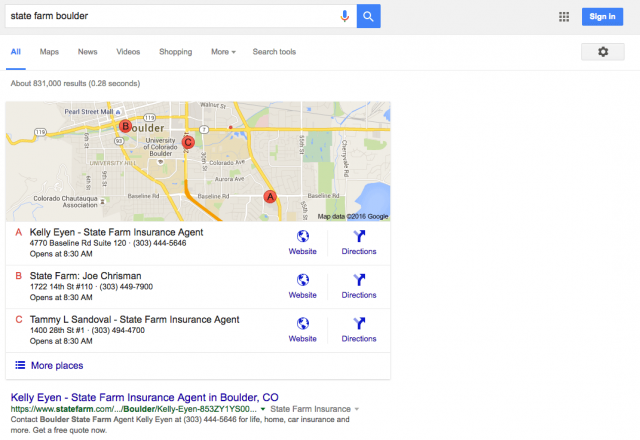 The more specific the query is and the more it matched your business, the more likely you will see a local one box. I think the one boxes for generic terms are way more unlikely to show than the three pack. Searching specifically on the company name is when most of the one box results show. But to come up for a generic search term in a one box, I guess that takes some fancy SEO work.